This modern Rubber Bracelet with a black 14 mm. 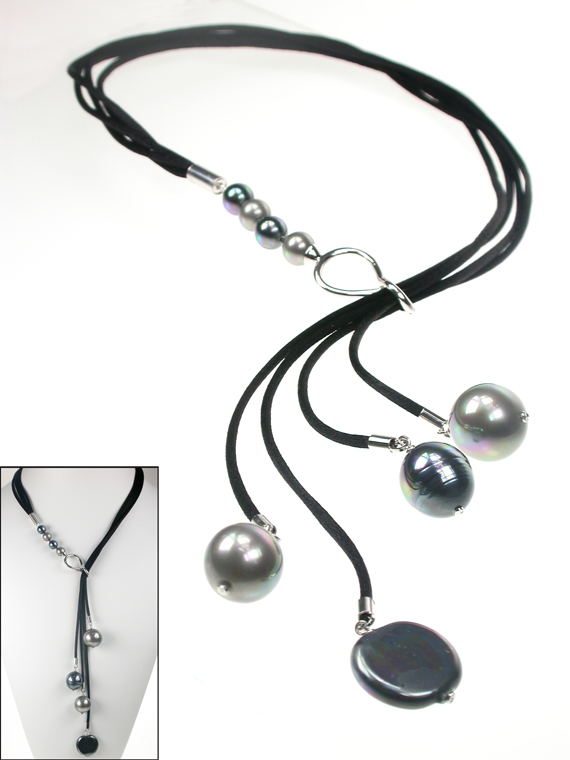 pearl and 8 mm Hematite stones is semirigid and adaptable to all sizes! The perfect gift for Him or for Her!